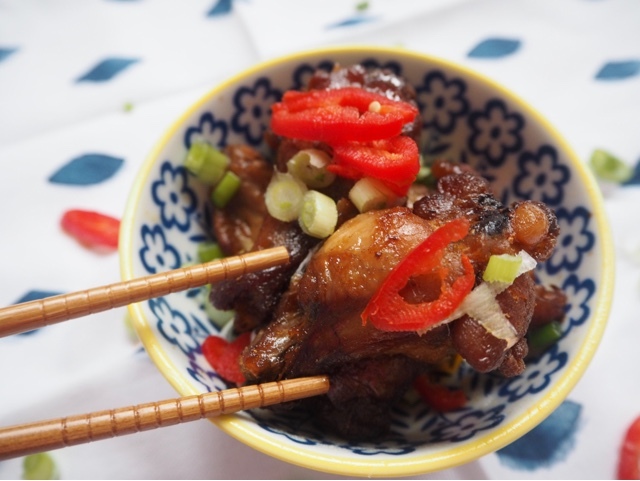 With the Chinese New Year a few days away and the weekend knocking on our door, why the hell not have a little treat, stay clear of the healthy meals and make up a batch of these Chinese Sweet Sticky Chicken. Friday's are takeaway nights in my house plain and simple, but not in the food choice. Every Friday, Leanora and I or well, should I say I, bearing in mind she is only 2 1/2 order from our local Chinese Mr Liu! A firm regular I pretty much call at the same time every Friday as it rings, Mr Liu, say hi Lindsey, the usual I see you 25-35 minutes and hangs up the phone as swiftly as he answered it! The embarrassment , but like you, I too have a few creature comforts and I tend not to go off track. But being a New Year and the year of the Rooster I thought, let me stir things up a bit and make something that A) is cost effective, I tend to go in big time on the Friday night takeaways. B) I am happy to know what is exactly going in my food as I have the say on what goes inside. 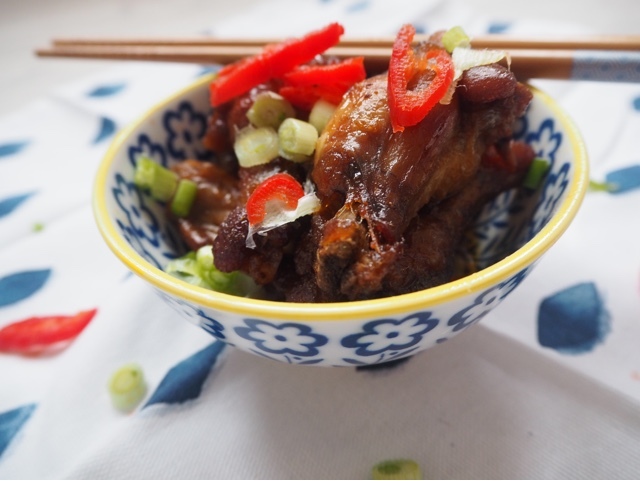 Now I have to say, these Chinese sweety sticky chincken wings are so good, so good that we ate most of them, the sticky rice and veg too, before I got to take the pictures, I am truly sorry. Well no, goddammit they were bloody delicious and once you've made a batch you will know what I am talking about. 1. Super quick and easy once you've done and instructed with the above ingredients (DO NOT FORGET TO WASH YOUR CHICKEN! 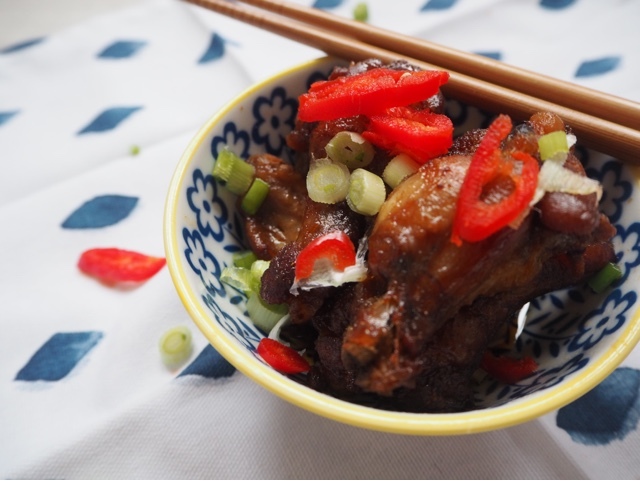 ), place all in to a mixing bowl and massage in the marinade, in to every nook and crany of your wings, cover and place in the fridge either over night or for 4 hours. 2. whislt marinading nicely in the fridge, Leanora and I headed out to the cinema, and got some shopping in, once back, 4 hours or just over had passed . 3. Take your chicken out of the fridge and set to one side, so that you can get some of the chill off for around 20 minutes. Whilst that is resting, whack on your oven to 180°C/350°F to heat up nicely, get your baking tray and pour in your chicken wings, marinade too, you want them to be nice and moist not dry at all nd place in the oven for around 40 minutes, they do not take long at all. 4. Whilst your Sweet Sticky Chicken wings are cooking and bubbling away, put your sticky rice on and selection of veg, we went for pak choi, sugar snap peas and broccoli. 5. Plate up, and garnish your wings with some chopped up chilies and springs onions and serve. I just know you are going to love these.